If someone told you that prosecutors chose not to file felony shoplifting charges against a defendant due to the person’s “prior criminal history,” you’d probably assume that the person had a relatively clean record, right? You’d be safe in that assumption in most places. But not Cook County. Let us introduce you to John Grothe and his stroll through our local justice system. In Illinois, it is a felony to shoplift more than $300 in a single event or in separate transactions over a period of one year. Also, shoplifting with a value of $300 or less is a felony if the defendant has a prior theft conviction. September 2014: 5-year sentence for theft from a person. January 13, 2017: Released on parole. January 27, 2017: Charged with two counts of misdemeanor theft from an unknown location in the city. Charges are dropped when the victim fails to appear in court. July 25, 2017: 13-day sentence for misdemeanor shoplifting $306 worth of shirts from Carson’s in Orland Park. August 13, 2017: Charged with misdemeanor shoplifting $217 worth of merchandise from Macy’s on State Street. Charges are dropped when Macy’s fails to show up in court on September 19. September 24, 2017: Charged with misdemeanor shoplifting $348 worth of allergy medication from an Uptown Mariano’s. Charges are dropped when Mariano’s fails to appear in court on October 3. October 18, 2017: 2-day sentence for misdemeanor shoplifting $666 worth of allergy medication from a South Loop Jewel-Osco. Felony charges were declined by the state’s attorney. 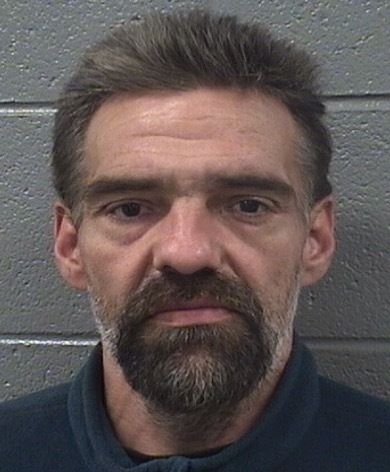 Five days later, Grothe was arrested at the Target store in Streeterville for shoplifting $524 worth of allergy medication. 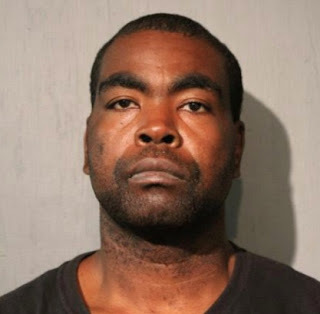 He was also charged with stealing $335 worth of merchandise from the same shop on October 14 and shoplifting $401 worth of allergy meds from a South Loop Target store and battering a security guard who confronted him on October 20. Incredibly, when 18th District officers asked the state’s attorney’s office to file felony charges against Grothe for the Target crimes, they were told “no,” court records show. Grothe was charged with three misdemeanor counts of shoplifting and one count of battery. Last week, he pleaded guilty to the battery charge, and the shoplifting counts were dropped by the state. He was sentenced to 30-days in jail with eight-days credit for time served. With 50% credit for good behavior, Grothe is scheduled to be released on Wednesday. You probably heard about the former employee of the Lawry’s Prime Rib who returned to the Michigan Avenue restaurant on October 30 to rob his former co-workers at gunpoint. In the end, one employee was shot, three employees were robbed, and two were beaten in the assault, prosecutors said. According to police, Marcus Norwood, 39, donned a ski mask, walked into the restaurant after closing time and confronted several male employees in the locker room. The victims were restrained with duct tape and relieved of their cash tips which exceeded $600 in one victim’s case, prosecutors said. Prosecutors charged Norwood with attempted first-degree murder; three counts of armed robbery with a firearm; two counts of aggravated battery with a deadly weapon; three counts of aggravated unlawful restraint; and obstructing identification. Who could’ve predicted that such a thing might happen? Anyone who bothered to do a background check. A simple review of Norwood’s court records shows that he was sentenced to 12-years in prison for armed robbery in 1998. And almost as soon as he was finished serving that time, he received a 54-month sentence for being a felon in possession of a firearm and aggravated discharge of a handgun in 2011.